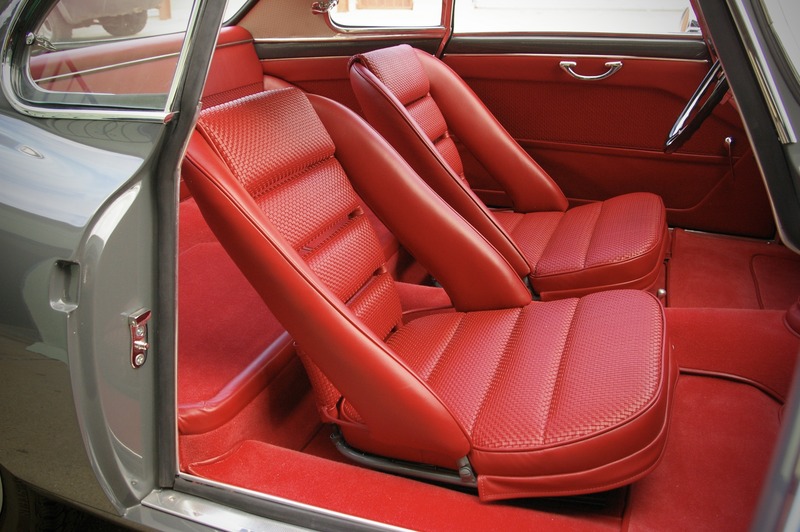 I've been looking for some Houndstooth (or maybe even tweed) material for the inserts on my E21 seats to jazz it up a bit. Since my interior is tan, I'd like it to have some tan color in the pattern to coordinate with the interior door cards and carpeting and the surrounding tan vinyl I'm installing on the E21's. 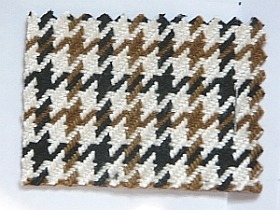 Black and tan houndstooth is what I'm thinking. I can't find any and neither can my upholsterer. Well, actually, he did find some from World Upholstery, but they want $225 per yard! What the hell? Anybody have a source? Google has nothing, or shows companies that have zero stock. It can't be that hard, but it seems to be. Any tips? I would give Lebaron Bonney and SMS Auto Fabrics a shot. They both have a large selection of materials. Ace Andrews seats are very nice indeed. 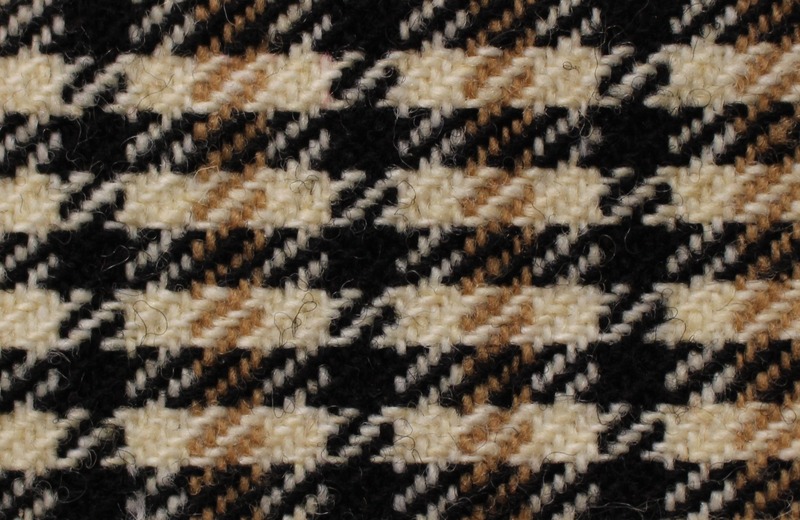 That looks like Spinneybeck woven leather, the same stuff Singer use in their cars. I did an old Alfa with this material recently. Beautiful stuff but uber expensive as it's basically made to order with the exact leather hides you specify. Totally agree Ed - Wow is right! Gorgeous. 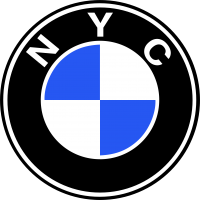 Check out some E30s in salvage yards--several donor back seats might supply enough houndstooth material to re-do your seats. Awesome resources, keep them coming! Thanks for all the leads. Just for the record I posted the same thread on Pelican and got one response. One. You guys gave me like 12 different leads. Thanks so much! In researching all the different sites, I found the same houndstooth pattern, a repro German type, at 3 different suppliers with 3 different prices. It sure looks the same and by the description, sounds like it's the same material. Sierra Madre had it at $174, AASE at $249 and GTS Classics Seats, which a friend of mine suggested I try, for $165. They also had one other pattern in a polymer based fabric, for $112. Who knew this stuff was so expensive? I'm leaning towards the darker one below one. 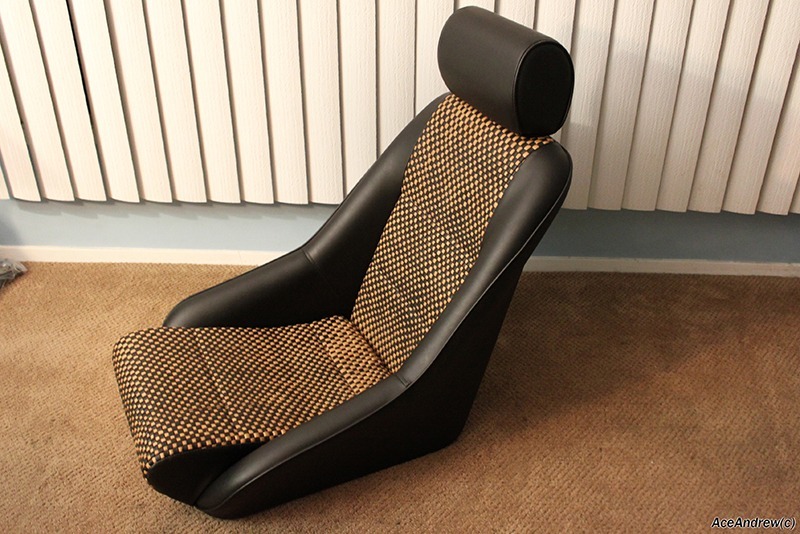 I think it'll go nicely as an insert with my recovered E21 tan seats and stock tan interior. The lighter one is much cheaper. Personal taste I guess. I only need 2 yards, but still. Thanks so much!!! Nick, one of the links John posted was for VeteranCo. That is who World, Werkshop (at least on occasion), myself, and others like to use. If anyone could give you a knowledgable straight-forward answer it would be them. 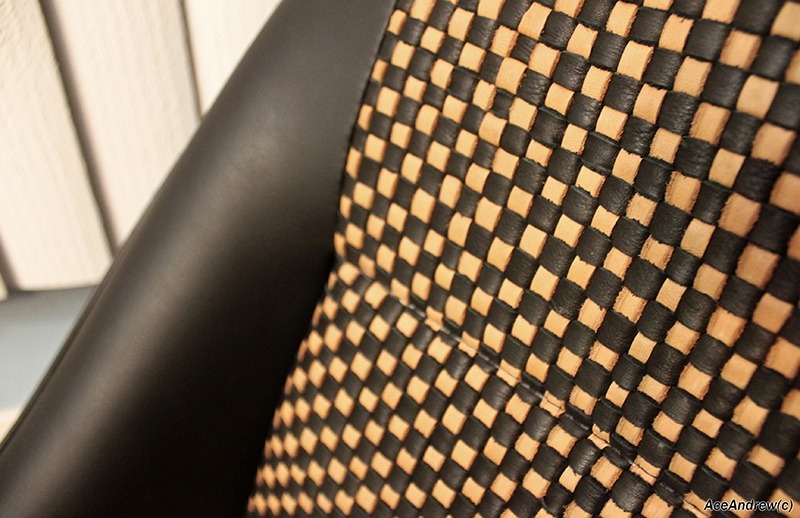 I BELIEVE the tweed used on these seats was also from them. As a side note, I didn't use Spinneybeck for the weave. They weren't willing to do the two-tone I was after. Fortunately a 2002 friend who happened to be neck deep in the fashion world took pity and we drove downtown LA to a little Italian leather shop. With the hides picked, he wove them himself. If anyone wants to pursue that option, I'd be happy to pass along his info. What seat is Ace Andrews? A Cobra?